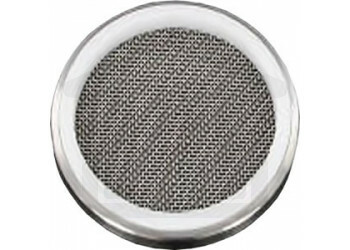 Transdermal Patch Holder with 35mm (1.38") opening and 40 Mesh screen. Unlike dissolution testing, transdermal testing is carried out at 32°C to reflect the lower temperature of the skin. Other variables such as the height setting and sampling requirements are the same as dissolution testing. APPFIVE-V35 has an outer diameter of 41.2mm and meets the diagram in the USP.